Native to the islands of the South Pacific, Hawaii, Polynesia, Melanesia, and Micronesia, Kava Kava or Piper methysticum has been a prominent part of indigenous culture since before written history. Kava is a perennial shrub with smooth leaves shaped like hearts and a member of the pepper family. Traditionally, the roots are used and a group of compounds known as kavalactones are extracted into room temperature aqueous solution to make a beverage. 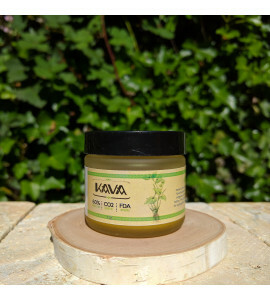 Kava There are 2 products. 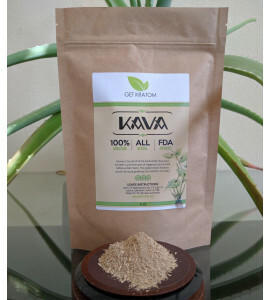 Premium Vanuatuan Kava root powder (8 or 16 ounces). Kava is FDA approved. 1 ounce of 60% Kava Kava (Piper methysticum) extract. This golden nectar is popular for social gatherings and reduction of anxiety. This CO2 extracted Kava Kava extract is incredibly potent and caution should be warranted if taking internally. Kava is FDA approved.